Consumers outside of China don't think of Lenovo much beyond laptops, but in that country the company has a wide reach. Explore the hidden—and larger—side of Lenovo. 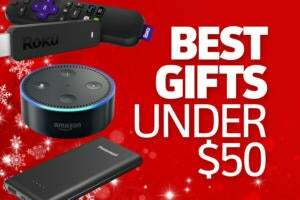 It may be the world's largest PC vendor, but Lenovo isn't exactly a household name in the U.S.
That could change over the next few years as the company builds up its brand and sells more product to U.S. consumers. 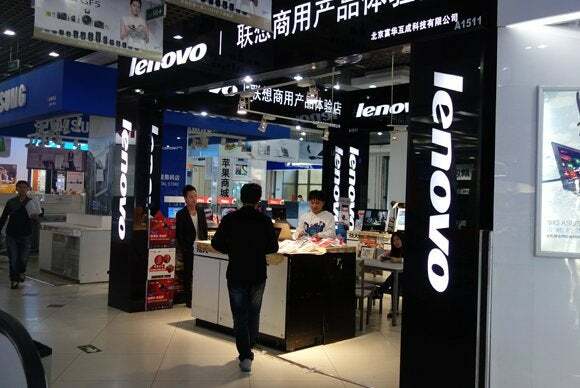 But in its home market of China, Lenovo long ago finished the task of making its name known, and is reaping the benefits. In the U.S., you won't find one single Lenovo store. But walk around anywhere in China, and chances are you'll come across one of its 18,000 retail outlets in the country. 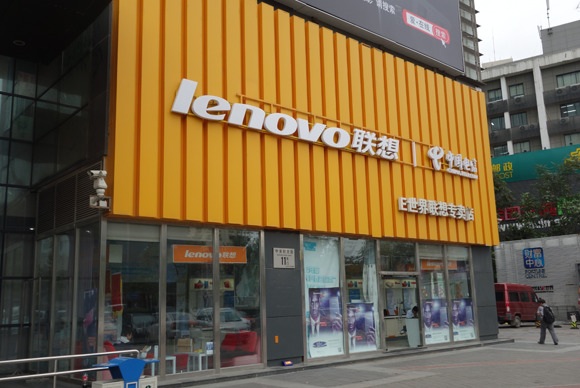 The company's presence can especially be felt in Beijing, where Lenovo shops and company advertisements can be easily found across the city. 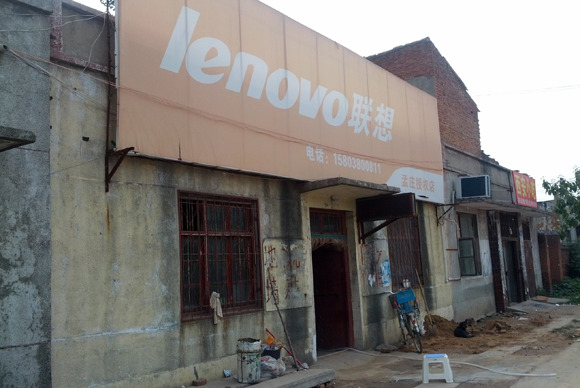 Lenovo's distribution stretches so far that its stores can even be found in a small town like this on the outskirts of Zhengzhou, China. The company's wide reach has helped propel its PC market share to 36 percent for the country, according to research firm IDC. 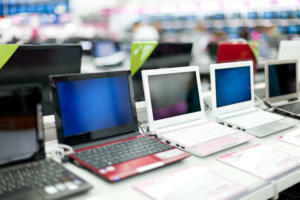 For over 15 years, the company has reigned as China's top PC vendor. In contrast, Lenovo's market share for the U.S. was at 10 percent during the second quarter, putting it behind Apple, Dell, and HP. 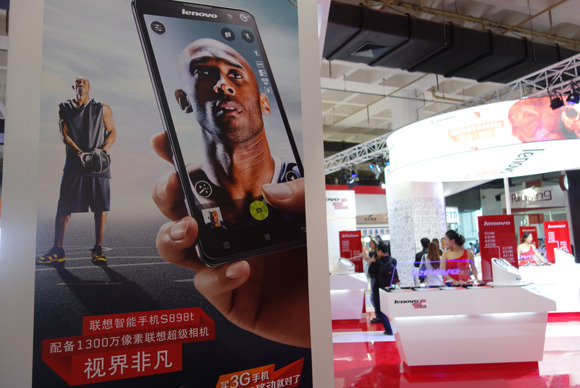 Another difference with Lenovo in China is the company's smartphone business, which has yet to come to the U.S. 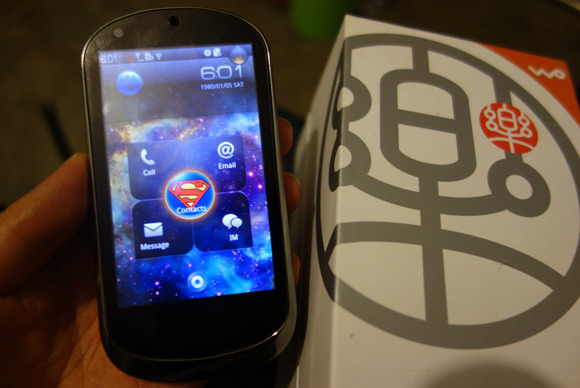 In 2010, the company launched its first Android handset, but only for the Chinese market. The phone featured a 3.7-inch screen, a single core processor, and went by the name "LePhone", which means Happy Phone in English. At the time, it was priced at 2899 yuan ($472) without carrier subsidies. 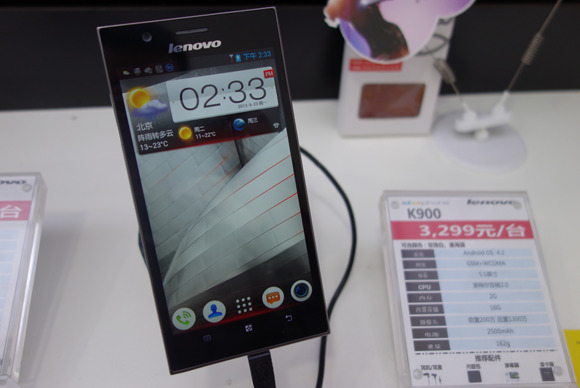 Since then, Lenovo's handset business has taken off, and it offers dozens of models on the market. The company now ranks second in China's smartphone space, behind Samsung, according to research firm Canalys. In the second quarter, it shipped 10.8 million phones to the country's market. The high demand has made Lenovo the world's third-largest smartphone vendor, despite primarily selling its handsets only in China. Pictured is Lenovo's K900, an Intel-powered Android handset, with a metal casing and a 5.5-inch screen that's priced at 3299 yuan ($537). 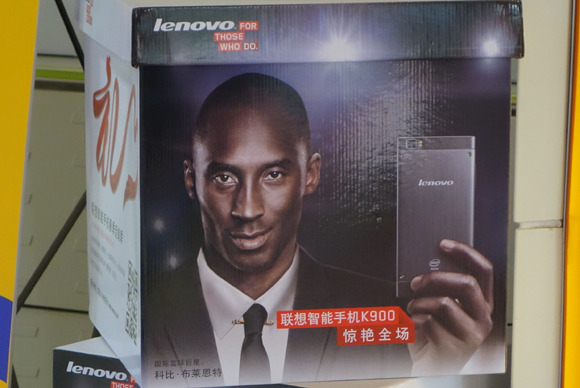 Rather than rely on a local celebrity to promote its handsets, Lenovo in January tapped NBA basketball star Kobe Bryant to be its smartphone spokesman for China and Southeast Asia. His face is now attached to company ads across the country. Basketball is extremely popular in China and so is Bryant, who's mere presence caused one local fan to cry when Bryant visited China in August. For Lenovo, China has often acted as a testing ground for products outside its traditional PC business. This happened last year, when the company launched its first smart TV, and made it only available in China. 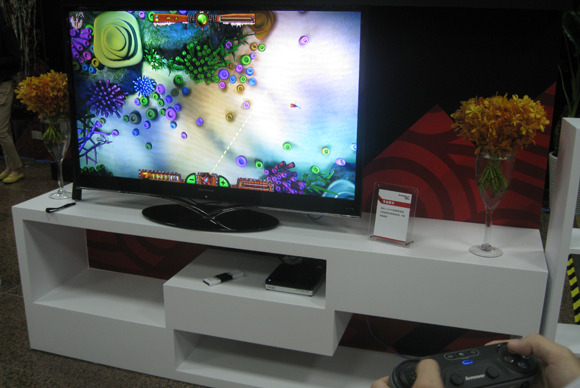 The television runs Android and is loaded with apps and games. But while demand for smart TVs is growing in the country, Lenovo has lowered sales expectations for the product. In 2011, Lenovo also launched its first tablet, the LePad, initially in China. 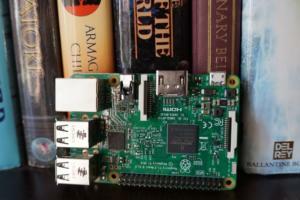 It made the device available worldwide months later. While Apple remains the biggest tablet vendor in China, Lenovo has carved out its own presence, ranking third in the nation's market, according to research firm IDC. 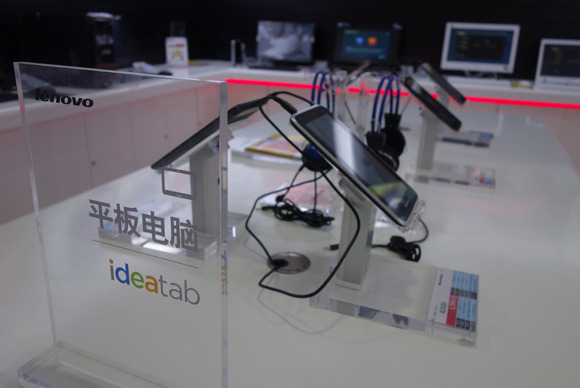 Prices for the company's Android tablets can go as low as 899 yuan ($146). PCs, however, remain the bread and butter of Lenovo's core business. 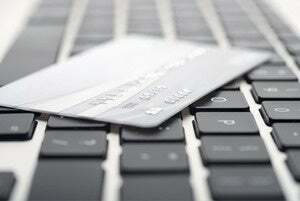 Many consumers in the U.S. may know Lenovo more by its ThinkPad brand, which it bought from IBM in 2005. 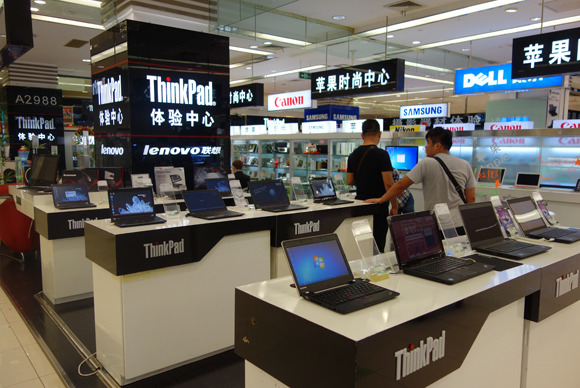 In China, the company also uses the ThinkPad name, and has stores in the country specifically devoted to the line of products. Lenovo's CEO has said its smartphones will eventually come to the U.S. Already, the handsets are available in developing markets such as Indonesia, India, and Vietnam. The company's phones and tablets are selling so well, that in the past fiscal quarter, the products surpassed its PC sales. Helping to drive much of that growth was the Chinese market. 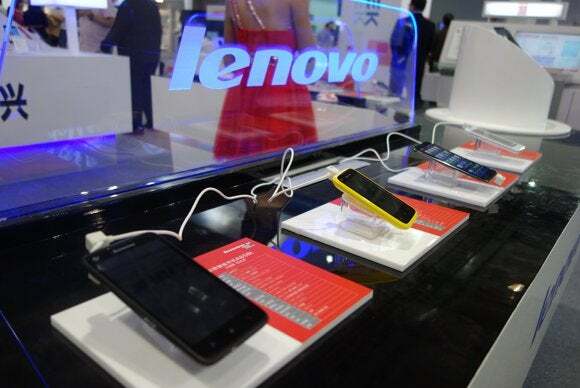 Lenovo is not alone among Chinese companies wanting to expand internationally. Handset vendors such as Huawei, ZTE, and Xiaomi are also popular in the country, but are still building their brand recognition outside China. Time will tell whether if any can enjoy the same success in the U.S.